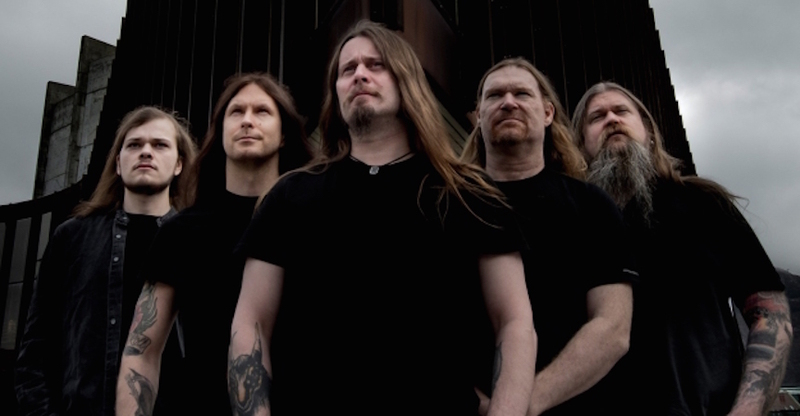 Enslaved is a band with a lengthy history. 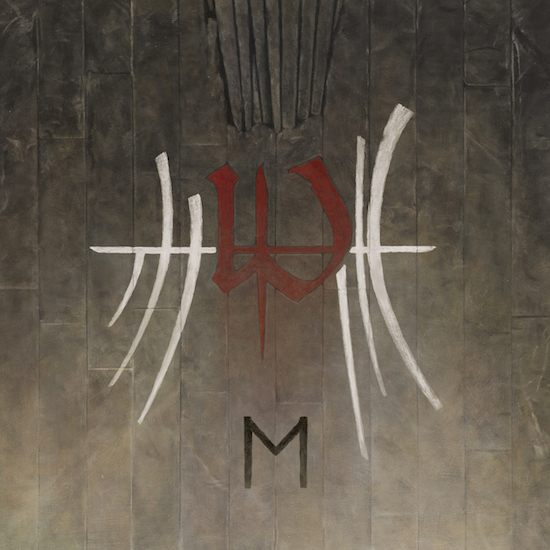 Originally beginning as one of the many traditional Norwegian black metal bands during the second wave, Enslaved has evolved to incorporate folk and progressive metal tonalities into their music. This band has also achieved recognition and success in their 25-year career, garnering a fanbase that has loved their music since their inception. Instead of slowing down – or disbanding, as some bands tend to do – Enslaved has decided to continue onwards, giving us a culmination of what their last three albums have been building up to this moment – new record E.
During the fourth trailer of the album before its release date, Ivar Bjørnson, the main songwriter and guitarist of the band, explained the concept of the album. While the rune for the letter e means “horse” (“Ehwaz”), the album is actually about “… the symbioses that surrounds us; which are vital to our existence, to our development… There many levels and variations of this concept on the album[:] the duality of man and nature, present and past personalities within one self, the conscious fear and the subconscious drive.”  Because Enslaved derive a lot of their lyrical inspiration from Norse mythology and their home country, it would make sense that they would choose the Ehwaz rune as a fitting title. While the rune does mean “horse”, it can also be interpreted as a life force that drives forward, which can lead to transcendence and growth. It can also be interpreted as the union of polarized forces, also making the Ehwaz rune a run of partnerships. 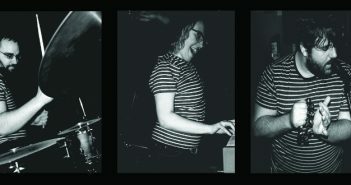 This would perfectly describe Bjørnson and Kjellson’s long-standing friendship, as they are the main driving force of the band and the last remaining original members since the band’s inception. Enslaved has lasted this long because of their friendship and partnership in the metal scene. Musically, E is also an album filled with partnerships and the union of various musical influences. You can hear a heavy prog metal backing that gives the album an airy, dreamlike atmosphere, while there is a reverberating folk tone that comes in the vocal chants and the various other instruments that are used, including a flute. In fact, there are moments where the music sounds earthy, as if that stark folk element was desperately needed to create a wall of sound that completely overwhelms the listener. It reminds me a lot of A Piece for Mind and Mirror,  particularly due to that wall of sound that seems to transport the listener elsewhere to another time in the past. E also sounds a lot of like RIITIR and In Times, following the same sound schema they have become known for, especially for that heavy prog sound that has colored their albums since the early 2000s. However, what really stands out is the saxophone used on ‘Hiindsiight’, creating a balance between Einer Selvik’s chanting and the heavier, black metal sound. It also brings an experimental flair to the music, making modern and accessible. As far as experimental music goes, most of it is not accessible to most listeners, as there is usually too much going on sonically for the listener to fully enjoy the experience. However, Enslaved made the excellent choice of trusting the listener, allowing for not only a sonically vibrant album to fully convey the weight of partnerships, but to also show that experimental music can be accessible and catchy. All in all, E is the culmination of partnerships and the continuation of a behemoth that has cemented itself as one of the most recognized bands in the scene. The experimental touches of additional instruments, prog, and folk bring an injection of new blood into their music. Whether it is because of the literal new blood that Enslaved received  or whether they wanted to test something new remains to be seen. Although the band has not gone full-blown avant-garde, it’s no stretch of the imagination that they will transcend to something fully experimental or continue in the path of pushing the limits of their progressive brand of black metal. 3.  Skuggsjá, the project that Bjørnson and Einar Selvik of Wardruna did together, seems to be a focal point when it comes to folk being incorporated into progressive and black metal. The intricacies of that album were so prominent to me that I still remember it to this day. Review here. 4.  Håkon Vinje joined the band in 2017 as the new keyboardist and clean vocalist.